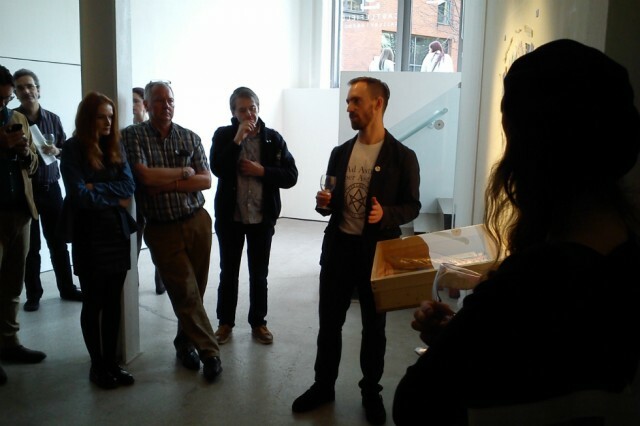 Castlefield Gallery’s Launch Pad exhibitions have always offered a great opportunity for new artists to show work in the Manchester-based gallery’s well-loved, two-floor space. But in their recent call-out for a Spring 2018 Launch Pad exhibition, they’ve expressed a particular interest in attracting applications from critical writers. 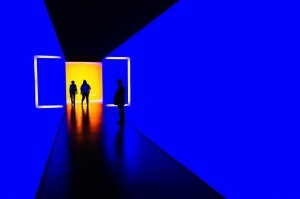 This signals a significant development, because the gallery are indicating an openness to writing not just commenting on the art, but possibly interacting with it, or becoming the central focus of a future show. And that set me thinking: is critical writing’s relationship with contemporary art beginning to change? An artist once told me that for someone to start becoming interested in critical writing it was tantamount to signing a pact with the devil. I think I just laughed it off at the time. Maybe critical writers are sometimes seen this way because that word critical might create a feeling of panic among some artists, who perhaps start thinking to themselves: “Are you going to criticise my work and cast it in a bad light?” But artists need critical writers – even in very basic terms, artists need publicity, and verification for their work, both of which writers can help to create. And devils and demons are also part of human nature; we all know people who have “personal demons”, and plenty of them happen to be artists, as well as writers. Over the past few years we’ve seen a marked increase in the amount of critical writing on contemporary art, in the North-West and everywhere across the UK. There are many types and styles of writing I could be talking about. Some of it is journalism, appearing in national magazines like Frieze or Art Monthly, or online platforms like this one, The Double Negative, or Corridor 8, Art in Liverpool, Creative Tourist, or Bido Lito. Some critical writing is more academic and appears in specialist publications. Another form of critical writing appears in galleries and museums, to help visitors navigate the space and encounter the art. The chances are that if you’re reading this, it may have crossed your mind to try writing about art in some way, or you may already have some experience in the field. Castlefield’s Launchpad series is admirable because it offers new artists, and now writers, the chance to curate an experimental, ten-day show, taking place in between the gallery’s main exhibitions. If you are selected to put together a Launch Pad show, the gallery offers plenty of friendly curatorial and technical help, and if, together, you can attract visitors, you gain valuable experience as well as something impressive to add to your CV. You might even attract some critical writing about your show. You can enter as an individual, or as part of a collective, but you, or one of you, must be a member of Castlefield Associates. 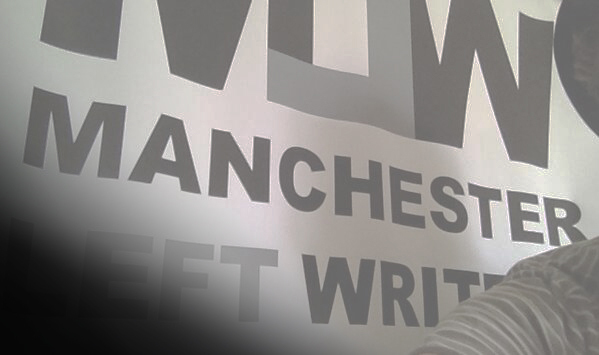 Last year, as a member of the writing and publishing group Manchester Left Writers, I was involved in putting together a Launchpad show, which we called the Northern Powerhouse Liberation Movement. We received a budget of £1,000, which allowed us to assemble a wide-ranging show that included a series of low-budget films that were projected on to the gallery walls, a big wall-mounted collage, and a set of installations featuring objects that obsessed us in their oddness and ubiquity, such as laughing-gas canisters and gold painted baguettes. We also put together a special publication, which was given away for free, along with examples of our earlier free “broadsides”. 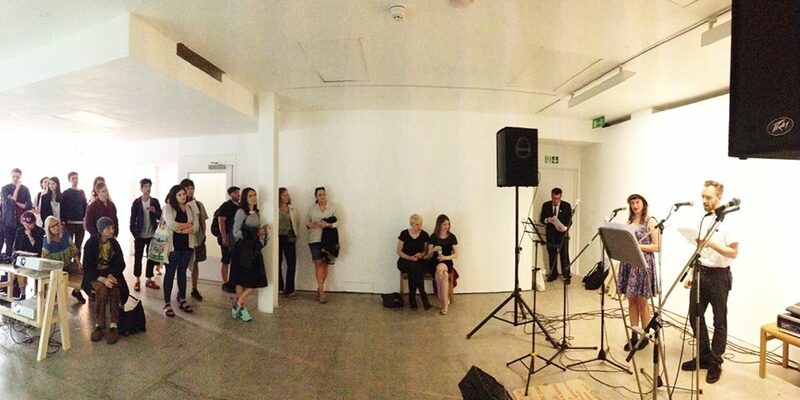 We opened with a live performance that filled the downstairs gallery space with visitors and we repeated that performance for Manchester’s Museums Night a few days later. And we filled the gallery a third time by inviting visitors to get in involved in a Q&A during the final weekend of the show. We had a great time, and people seemed to enjoy it. And we were not practising artists, but writers, working in a contemporary art context. But you don’t have to be part of a group. Solo critical writers and practising visual artists can also collaborate. Since starting to write about contemporary art in 2008, I’ve collaborated on a range of projects in which writing was involved, and in every case the act of collaboration challenged the way I previously went about writing. Working with the Taiwanese artist Yu-Chen Wang, for instance, I wrote a science fiction short story that she turned into a performance and then a film. And with the Norwegian performance collective Alt Gar Bra, I’ve been asked to do talks and lectures, and I’ve even conducted a live video interview in front of an audience with a major historian and former advisor to President Clinton, which seemed scary at the time, but worked out fine. So you never know where collaborations between artists and writers will end up. But from this writer’s point of view, they changed my assumptions, and my traditional approaches. Hopefully, my writing made some contribution to the resulting art. 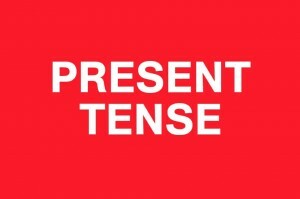 So, with critical writing squarely on the agenda for the beginning of next year’s North-West contemporary art schedules, I look forward to the results. No doubt I’ll see – and maybe review – Castlefield’s Spring Launch Pad show. But it’s up to you to write it into existence. Interested in applying to Castlefield Gallery’s Spring 2018 Launch Pad exhibition? Make sure you read these details… Deadline 12 noon, Wednesday 25 October 2017! Good luck!